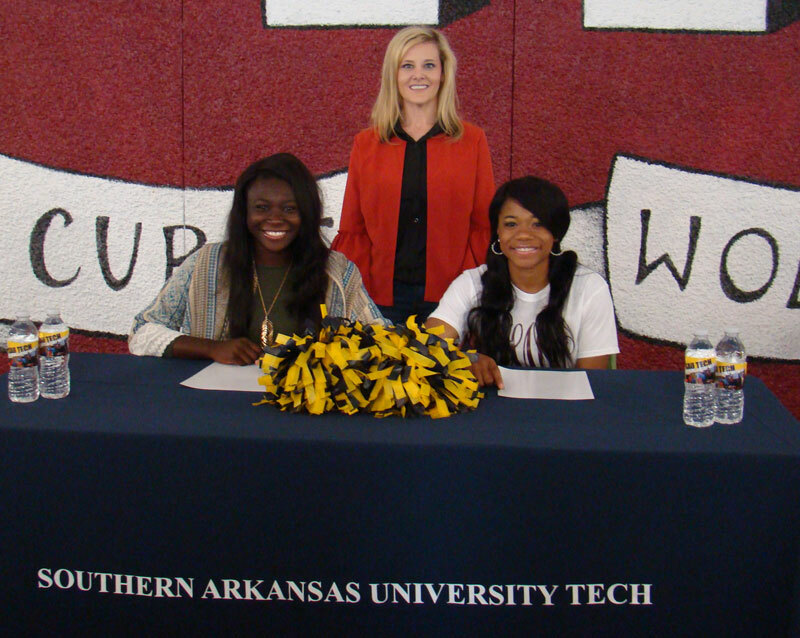 The SAU Tech Rocket Cheer Squad to pleased to announce the signing of two additional members to the squad on April 26, 2018. Prescott High School students, Lacie Nolen and Haliegh Wiley, signed during a ceremony held at the Prescott High School. Lacie is the daughter of Lakisha Stuckey and Ronnie Nolen and Haliegh Wiley is the daughter of Stacey and Felix Wiley. Stacey Wiley is an Alumni of SAU Tech. Stay up to date on all the SAU Tech Rocket news at www.sautrockets.com.